This might be the world's most comfortable sweatshirt. 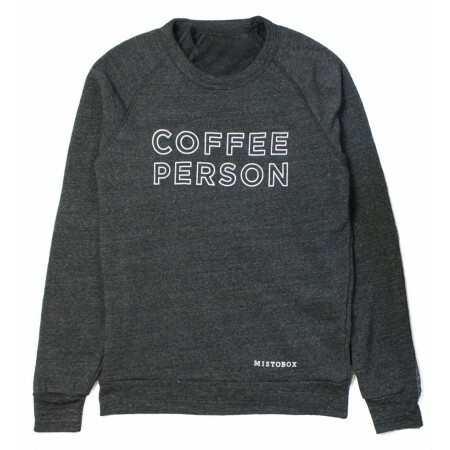 A MistoBox team favorite, this crew neck is perfect for any coffee person. This product is sold out. Check out our Coffee Person tees. True story: we got these sweatshirts made for our team a year ago, and they have become everyone's most frequently worn item of clothing. They are so amazing, we knew we had to make them for our customers too. 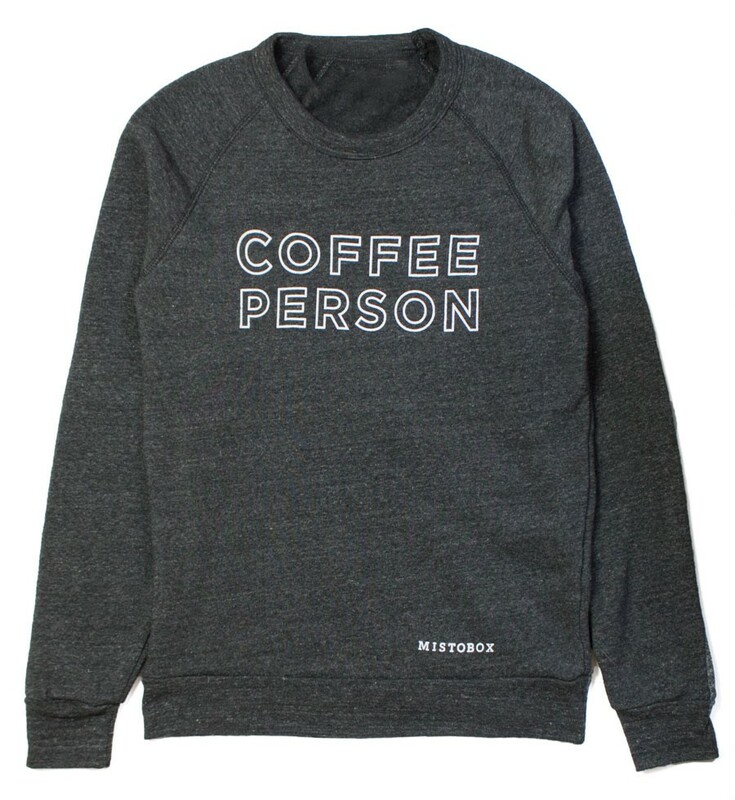 You'll be surprised how many coffee-loving friends you'll make wearing this sweatshirt. Fellow coffee people unite! Great sweatshirt. So great I am not even going to get to use it because my fiance has stolen it.